The crack epidemic of the 1980s ravage Black communities across America. Countless young people were lost to addiction, death, or incarceration. 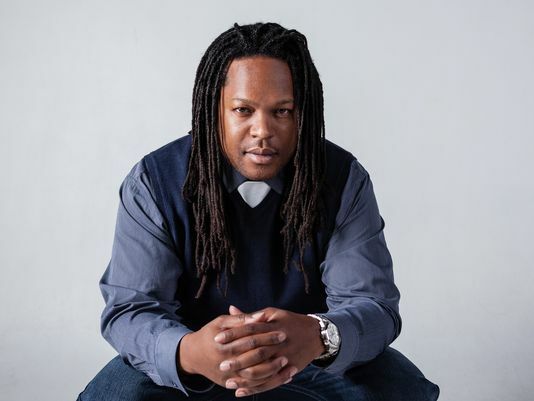 Writing My Wrongs: Life, Death, and Redemption is a new memoir by Shaka Senghor that tells the story of the author’s 19-year stay in prison (7 of those years in solitary confinement) after being charged with second-degree murder from a drug deal gone bad. In the book Senghor talks about the downward spiral that brought him to such a dark place, learning forgiveness, atoning for his wrongs, and the transformative power of writing. Through literature, meditation, self-examination, and the kindness of others, Senghor learned to confront his demons. Now Senghor is a leading voice on justice reform and a mentor to young people facing issues similar to his. This Tuesday, March 22, see Shaka in Harlem for a book signing and special conversation at The National Black Theatre: Institute for Action Arts, 2031-2033 National Black Theatre Way ( Fifth Ave Btwn 125 – 126 St ), New York, United States. HT: Who did you write this book for? Shaka: I wrote this book for educators, policy makers, parents, young men and women who may be on the path that I was on. But I really think the book has universal appeal. HT: I imagine that the process of writing this book must have been very cathartic. Do you feel like in some ways that you had to write this book? Shaka: Yeah. You know, I struggled with the idea of writing it for a while. I was working in the inner city when I was released, with some people going through some of the same struggles I was going through…Dealing with so many people returning to the community struggling, I really wanted a book that helped everybody understand what’s happening to young people in our community…That kept coming back to me, that I need to write this book to help people understand. It was definitely very cathartic. It was a very tough book to write. It was hard going back to some of those emotions and experiences, but it was very necessary. HT: What do you want to say to men and women going through something similar as you through this book? Shaka: You don’t have to hold yourself hostage to your worst moment. Like knocks you down, but you really have a choice about whether you get up or not. I just try to tell young people that I work with: “If you take all of the excuses off the table, you’ll see yourself a lot clearer. And you’ll really understand your own power. You’ll be a lot more capable of fashioning your life in a way that honors your humanity. I think that’s so important for young people to hear, and to also get. And the other part of it is that when you mess with your thinking, basically you mess with your destiny. That’s what I want people to take out. We’re not our worst moment. We’re all subject to make poor decisions, but we can redeem ourselves if we make a commitment to taking our excuses off the table. And that’s when we start thinking in a way that challenges ourselves to grow. HT: When you talk about destiny, in some ways it sounds like your implying that we are destined for greatness. Shaka: Yeah I believe that. Just think about how we came into the world. It’s a great biological occurrence, that a lot of times we minimize because it happens so often. But if you go back and look at it, you see, we’re not here my happenstance. We do have purpose. Everybody has something in them that’s great. It’s just about erecting that from whatever it is that’s covering it up. If you look at children, prior to them having all of these imposed ideas — children are just genius. And then what happens is that as adults we begin to shape children based on our own limitations. Not just young people, but adults as well. And that’s why I say the book is for so many people. Because to me the worst prison is the prison we erect in our minds. I was locked up mentally before I ever stepped foot inside a prison. HT: Tell me a little about the educational outreach work that you do in Detroit.